I had high hopes for this quick little galette. 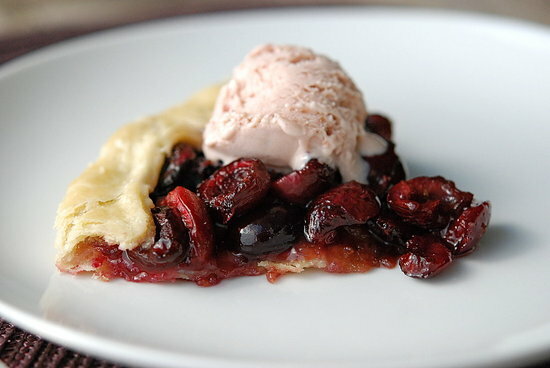 What’s not to love about fresh cherries in a flaky, buttery crust? It looked so perfect when I slid it into the oven, plump and sweet and full of promise. But when the timer went off and I opened the door…no crusty, golden beauty. Just a leaking, flaccid mess. But yes. I had inadvertently torn the crust and all the lovely juices had run out and burned into a hard, glossy varnish. Don’t let that steer you away from the recipe, which is really quite lovely. I made the best of the mess by cutting the tart into pieces and sliding them onto plates. A scoop of pretty-in-pink homemade strawberry-rhubarb ice cream drew the eye upward, like a good blush. If I weren’t confessing, no one would be the wiser. In the end, almost-lovely, and most important – delicious. Preheat oven to 375F. Roll out the patee brisee, on a lightly floured board, into a 14-inch circle. Transfer crust to a parchment- or silpat-lined baking sheet and chill for 20 minutes. 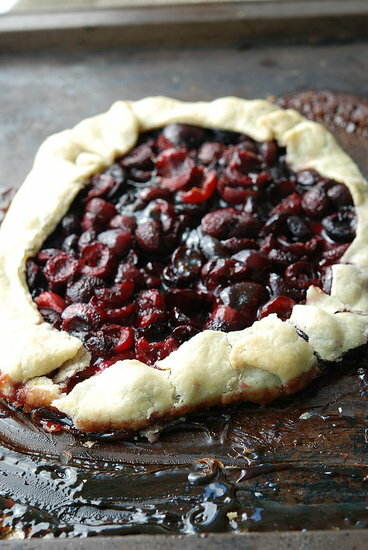 In a medium bowl, stir together cherries, sugar, and cornstarch. 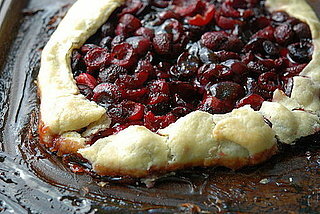 Pour fruit onto the middle of the chilled crust and spread to within 3 inches of the edge. Loosely pull the crust edges up and over the fruit, leaving an open space in the center (there will be odd folds and uneven edges – that’s fine, it’s supposed to be rustic looking). Place the baking sheet in the oven. 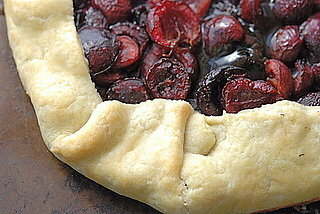 Bake for 40 minutes, or until crust is very browned and the fruit is soft and bubbling. Cool for at least 30 minutes. I love that my fail was your success! Sounds like you did it perfectly. Thanks for letting me know - thrilled! I found this recipe yesterday and made it for a dinner party. It was a hit. Mine did not leak at all. I might not have rolled it thin enough so that could be why and I also had the crust overlapping the fruit more than your picture. Thank you for the recipe!! Oh no! I wonder if I should suggest that people just put it in a tart pan? I thought mine tore because I was rushing and didn't chill the crust before or after I rolled it out - it was very soft. I've made galettes with this particular patee brisee before, but now two in a row leaking? Keep that in mind folks, whoever makes it next. Thanks for the feedback! Mine leaked also when I tried this recipe but OH, it was so good! My husband has an order in for another one. He doesn't care if it is pretty. Thanks for this treat!